Wonderful new book (out in May) from Camilla Møhring Reestorff – one of our speakers at A&SM 3.0 on May 25th. It will be out in May on Intellect, so very timely. 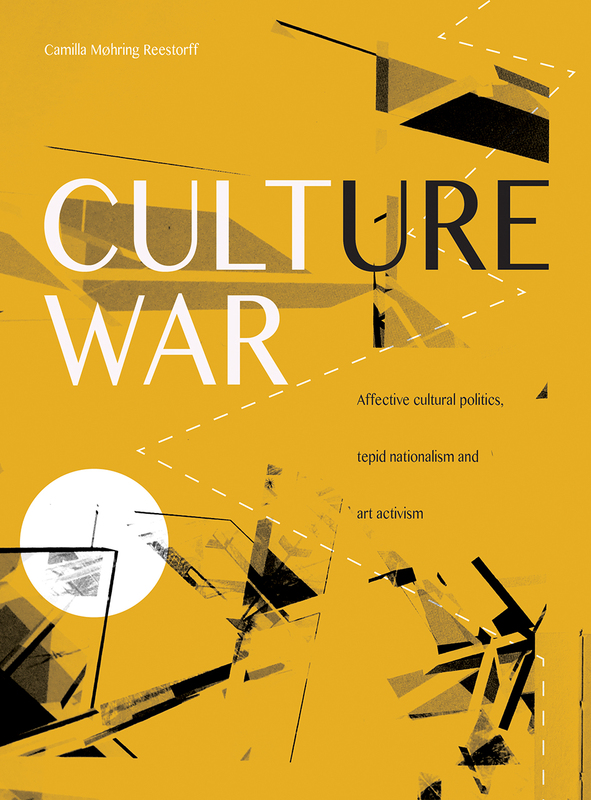 The culture wars—intertwining art, culture, and politics—have sparked prominent political debates across the globe for many years, but particularly in Europe and America since 2001. Focusing specifically on the experience of Denmark during this period, Culture War aims to analyze and understand the rise of right-wing nationalism in Europe as part of the globalization and mediatization of the modern nation state and the culture war and affective politics arising from it. This culture war provides an example of an affective cultural politics in which institutional structures become entwined with media representations, events, and patterns of belonging. Employing a detailed and critically reflective argument covering social media, television, political campaigns, advertising, and “artivism,” Camilla Møhring Reestorff refuses the traditional distinction between the world of visual culture and the political domain, and she provides multiple tools for understanding the dynamics of contemporary affective cultural politics in a highly mediatized environment. This entry was posted in Uncategorized and tagged Affect and social media, Camilla Møhring Reestorff, UEL May 25th. Bookmark the permalink.